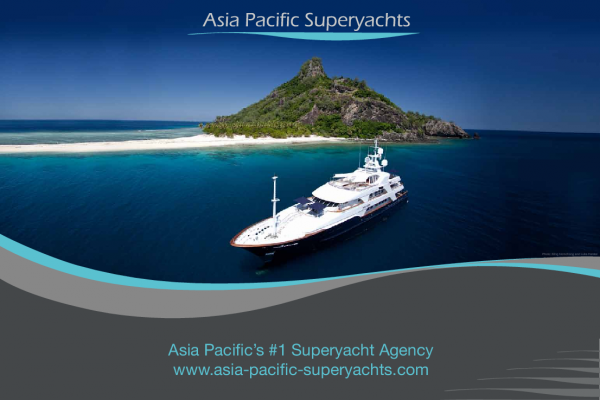 Asia Pacific Superyachts (APS), the leading Superyacht Agency for Asia and Pacific regions, has announced the launch of its 2015 digital company brochure with information and images of APS cruising destinations. Director Charlie Dwyer, heading up Koh Samui and Gulf of Thailand and co-organiser of the Asia Superyacht Rendezvous, said: "We continue to improve upon all our APS services to give our loyal and future clients the best possible service. The brochure offers a new original design and our APS branches give it a more personal feel with photos of their stunning regions." The brochure’s array of vivid photos and easy-to-read text provides at-a-glance information of APS relevant data and highlights experiences by Superyacht owners and captains in various regions. To download the brochure visit our Download Area.